The Council of Sofia Bar Association, together with the Milan Bar Association and Association of Women Lawyers held an international conference on "E-JUSTICE: Bulgaria - opportunities and challenges. Italy - realization and experience. European best practices. " The conference was the participation of the Bulgarian side of the leading experts in the field of e-justice, participated in the development of rules on how it is implemented in Bulgaria. From the Italian side was represented by lawyers and specialists in organization and management of organizational processes that are involved in the introduction of electronization of procedure of the Bar in Milan and in general in Italy. Mr. speakers. Hristo Koparanov and lawyers. Emilian Arnaoudov, managing partner of law firm "Popov & Partners" presented the nature and scope of e-justice, as well as their views on the benefits to which its introduction would entail. They highlighted a number of problems of the judiciary who may be affected by computerization: significant speed, less administrative costs, more transparency, less corruption and more. Prominent were the challenges and risks inherent in the introduction of e-justice, were given specific recommendations on how to achieve the best results with the least negatives. The speakers pointed to the possibility of proceedings in which the plaintiff is not required and the defendant to appear in person in the works to be distributed among all district judges, regardless of the city in which they are located and thus reduce uneven workload of the courts. Evidence has been submitted that more than half of the cases in the busiest courts is precisely this type of proceedings. 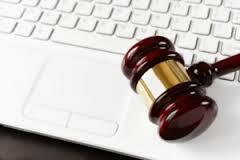 It was recommended that all public authorities and lawyers have to work in the electronic platform and use a single mail contact with justice and future citizens to have a permanent email address, and legal entities - email management. It was recommended the creation of access points to the judicial system in smaller settlements, which will reduce the social impact of the reform, while to create the presence of the state there. It was emphasized that electronization will facilitate mobility difficulties persons and persons with reduced visual abilities. Guests from Italy revealed his experience of the introduction of e-justice in civil justice, told about the attitude of the judiciary towards innovation, and demonstrated practically how do you work on an electronic case. Impression made that benefits that Bulgarian experts theoretically expect to happen after electronization actually occurred in Italy. Specifically, data were presented for almost tenfold reduction in the time that ends a case and concrete results in the fight against corruption. The speakers presented and good practices in other European countries such as Portugal and Spain.